Genki Sudo, a veteran fighter from PRIDE and Rings, debuted in the Octagon and beat Leigh Remedios with a rear naked choke in Round 2. The pay-per-view began with a battle of debuting light heavyweights, as Phillip Miller defeated James Zikic by unanimous decision. Both preliminary fights also resulted in unanimous decisions. Renato “Babalu” Sobral beat Elvis “The King of Rock & Rumble” Sinocic; and Evan Tanner defeated Chris Haseman. Vladimir “The Janitor” Matyushenko was supposed to fight on this show, but he was hurt and Haseman took his place. The best fight of the weekend may have taken place on the streets. 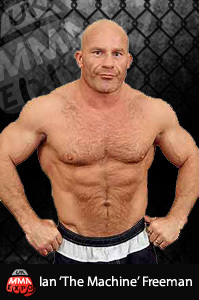 Listen to Tito Ortiz and announcer Mike Goldberg talk about the incident here.